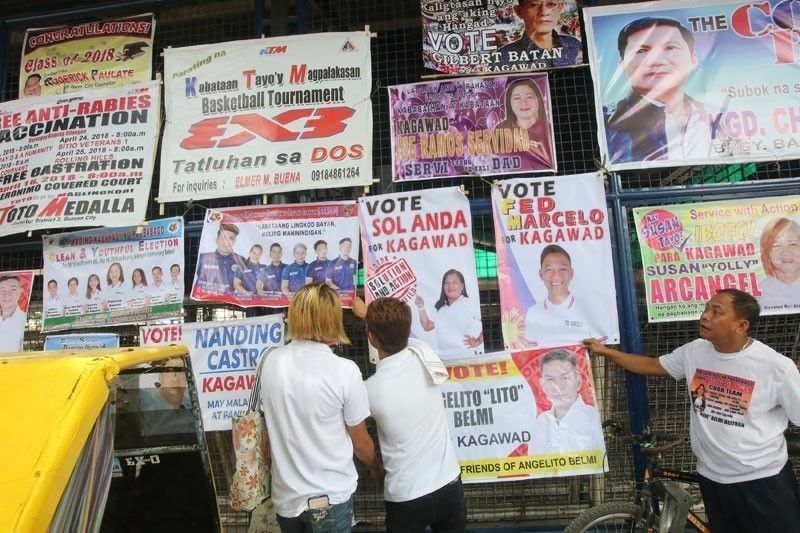 File photo shows various election posters. MANILA, Philippines — The Department of the Interior and Local Government ordered local leaders to create transition teams for a smooth turnover after the May midterm elections. The DILG gave the order days before the start of campaign period for local candidates. Local Government Secretary Eduardo Año said transition teams must be created by all incumbent governors and mayors by April 8. “Before the re-electionist local chief executives become busy with their campaign, they must form their respective local governance transition teams to ensure continuous services for the people,” Año said in a release Tuesday. The DILG chief said transition teams must conduct an inventory of LGU properties such as land, buildings, infrastructure facilities and their improvements. These properties also include vehicles, office equipment, furniture and office supply stocks. He added that the team must also gather and secure all official documents or records of LGU official transactions. Año also warned local officials against appointing, hiring and promoting employees as well as utilizing public funds from March 29 to May 12.